The last time I had a bob hairstyle was in 2009. If I were to do this ‘do again, I’d go shorter to make more of a statement. This length is neither here nor there. Whoa! Look how much my hair had grown by 2010! I don’t know why I didn’t take a full-length photo of my tricolor Alexander McQueen dress, but here’s a glimpse of it in this photo of me and MrB. 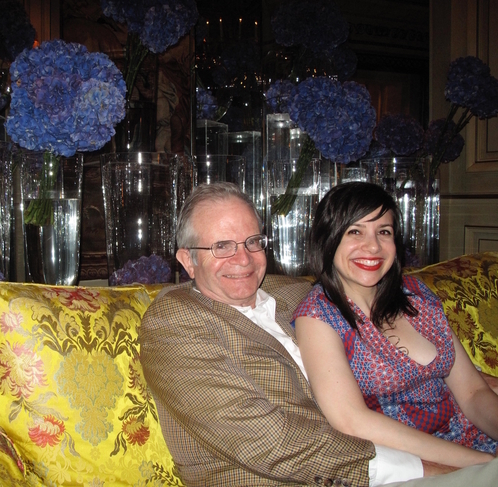 In 2011, I decided that the tricolor McQueen dress was now my official Bastille Day dress. I celebrated with a proper outfit photo. 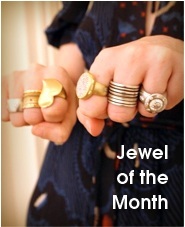 With all my history-inspired jewelry designs, you might be wondering if I have anything related to Bastille Day. The answer is: Of course! I even have some new photos of my one-of-a-kind Madame Royale necklace to share. “Madame Royale” was the royal title of Marie Antoinette’s eldest child, Marie-Thérèse Charlotte. Marie-Thérèse was just 11 when the Bastille was stormed on July 14, 1789; 13 when the royal family was imprisoned and separated from each other; and 17 when she was freed. She was the only member of her immediate family to survive the revolution. The experience didn’t break her. 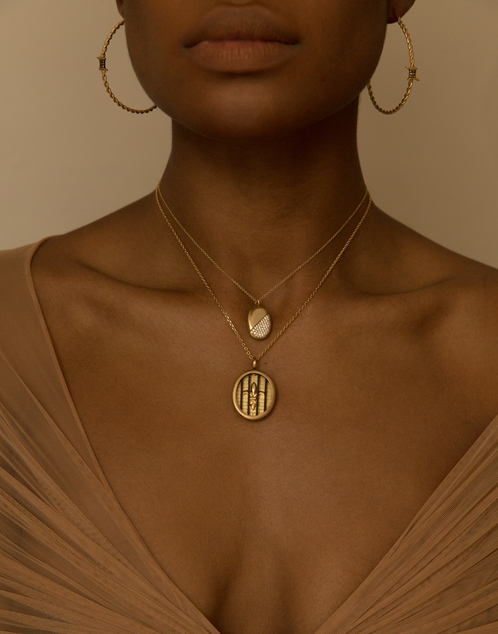 In fact, she was so mentally tough that Napoleon later called her “the only man in [her] family.” The Madame Royale necklace design is a tribute to Marie-Thérèse’s pain and strength. 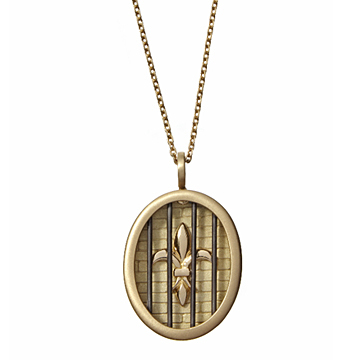 The 18K yellow gold royal fleur de lis stands out against a gold background engraved to look like a brick wall, while the blackened silver bars of imprisonment don’t obscure the view of the royal symbol. The new photos came about because I’ve been going over my collection and making sure each piece has been photographed on a person, to give everyone a sense of the size. Thank you to the beautiful Ella K. Perez for being my model for these shots, which were taken by Emmanuel Sanchez Monsalve and styled by Shannon Stokes. The fabulously named Beau Derrick did the makeup for this shoot. Here is a close-up of the Madame Royale layered with my Sophie twisting-heart pendant. I’m sorry Ella’s gorgeous face isn’t in this photo, but sometimes one has to concentrate on the jewelry! 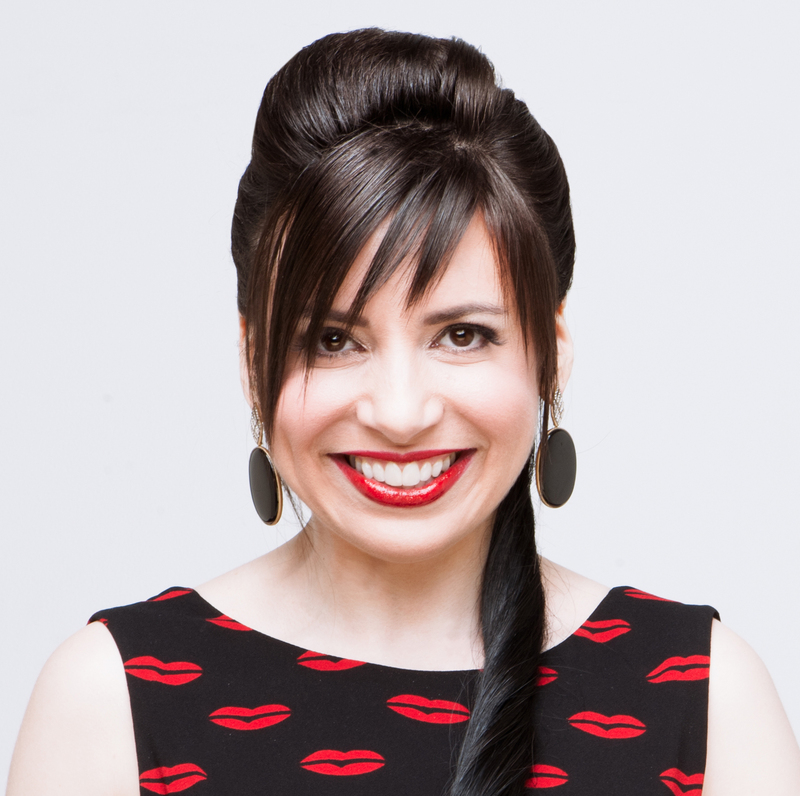 In this shot, I have the Sophie heart pendant twisted into an oval shape, accessorized with my 18K gold barbed wire hoop earrings and Ella’s luscious lips. I’m looking at the Madame Royale pendant with increased emotion now because of current events: The thought of a child incarcerated and isolated from her family is no longer a story from centuries ago. Accordingly, the purchase price will now include a donation to RAICES, which is fighting to reunite refugee families that have been separated at the U.S. border. 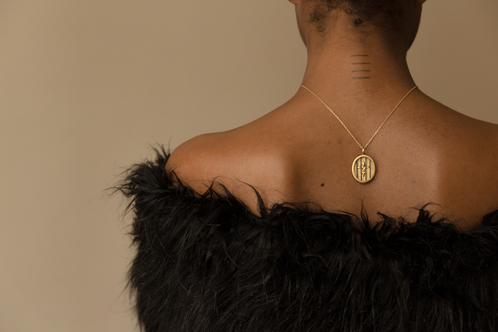 I’ll commit to doing that whether the necklace sells on my website or 1stdibs.com. As always, I will make any donation in the customer’s name, so the buyer will get confirmation. 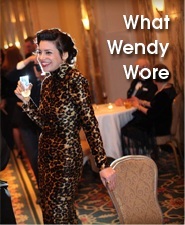 What Wendy Wore: "Oh, These Old Things!"